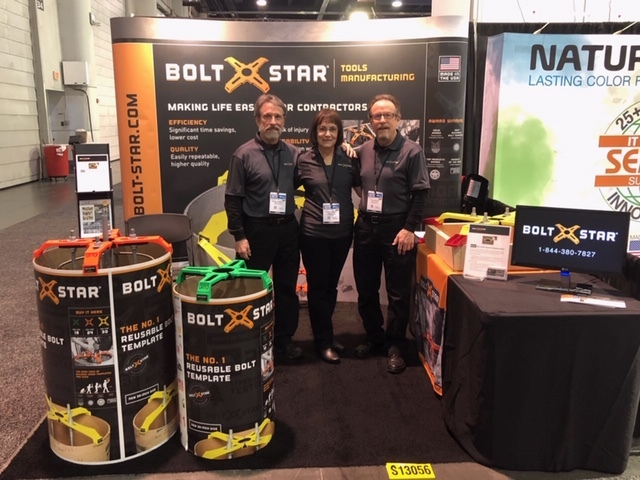 Bolt Star LLC unveiled the Square Foundation Edition to thousands of contractors attending the World of Concrete in Las Vegas, Nevada. 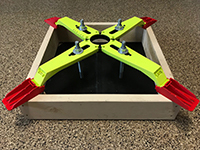 The new product, showcased in the event’s Most Innovative Products Award competition, was positively received by concrete and general contractors who liked the flexibility of a solution for both round and square forms. Bolt Star LLC announced the appointment of new manufacturer reps for distributors in several regions. Illuminetix Inc., based in Kapolei, Hawaii, will represent the BOLT STAR® product line to electrical and construction supply in all of Hawaii. 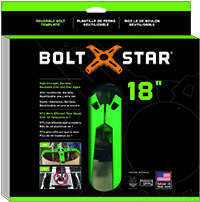 Electrical Solutions and Design based in Elk River, Minnesota is now representing the BOLT STAR® product line to electrical supply distributors in North Dakota, South Dakota, Minnesota and Western Wisconsin. The 18″ and 24″ BOLT STAR assemblies began shipping this month in beautifully designed color packaging. The new packaging is world class, featuring three languages (English, Spanish, French) and an opening on the front cover for visibility to the tool’s engraved measurements and integrated bubble level. On the back there are thumbnail photos showing ease of installation and use, and a new specifications table that presents all measurements in both inches and metrics. The packaging is a key element in the campaign to get this highly innovative product out of the back room and into the show rooms of distributors worldwide. 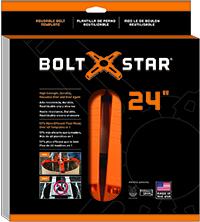 Similar packaging is under development for the 30″ BOLT STAR. 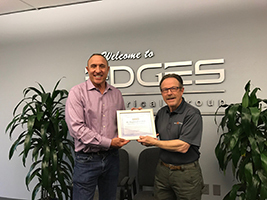 The Edges Electrical Group based in Sacramento, California, was recently recognized by Bolt Star LLC as the “Top Regional Authorized BOLT STAR Distributor” in the nation. Ken Gregory, President of Bolt Star LLC, visited Edges Electrical Group to present its President, Bob Powers, with a plaque and a “The Dark Ages of Building Wood Templates are Over” T-shirt! Edges Electrical Group was formed from the merger in January 2015 of two great Northern California companies, Granite Electrical Supply of Sacramento and Electrical Distributors of San Jose CA. The electrical supply company now has 12 locations servicing the San Francisco bay area and the Central Valley of California from Turlock to Truckee. Bolt Star LLC announced that Thomas Dowling Associates, Inc., based in South Windsor, Connecticut, has been appointed as a representative of the BOLT STAR® product line to electrical supply distributors. 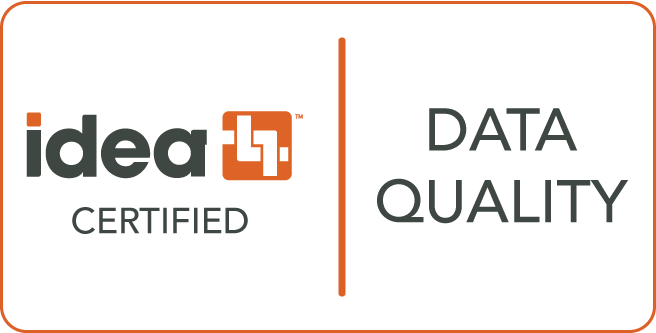 Thomas Dowling Associates has represented manufacturers of electrical products since 1985, and serves electrical supply distributors in New England, Upper State New York, West Virginia and Pennsylvania. Bolt Star LLC announced today that Callas/Kingsley Electrical Sales, based in Wood Dale, Illinois, has been appointed as manufacturer representative of the BOLT STAR product line to electric supply distributors. Callas/Kingsley has represented manufacturers since 1985 and serves electrical distributors in Northern Illinois and Indiana, Michigan (Upper Peninsula) and Eastern Wisconsin. Rack-A-Tiers appointed master distributor of Bolt Star in Canada. Vine Grove-based One Source Lighting & Design has been appointed as manufacturer representative of the BOLT STAR product line to electric supply distributors in Kentucky. Except for the very northern and eastern portions of the state, One Source plans to focus its efforts primarily on customers in the vicinity of Evansville, Louisville and Lexington. 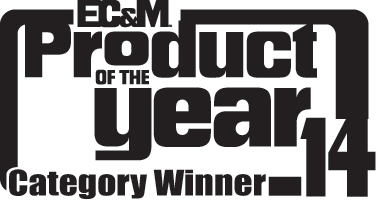 BOLT STAR is recognized in the January issue of Modern Contractor magazine, page 12, for winning the 2015 NOVA Award. 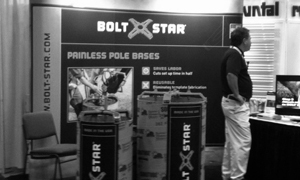 Several leading manufacturer representatives have signed on to market the BOLT STAR product to distributor customers in the Midwestern region. Fields Electrical Sales based in Lebanon, OH, is now representing the product to electric supply distributors in Ohio, Michigan, West Virginia, western Pennsylvania and northern and eastern Kentucky. On the construction and concrete supply side, Chris Fedor Associates of Louisville, KY, will be responsible for Indiana, Ohio, Michigan and Kentucky, including all HD Supply/White Cap branch locations in that territory. the rebar cage during the pour of the round concrete bases typically specified for parking lot and outdoor area lighting, street lighting, security camera poles, street signs, and flag poles. 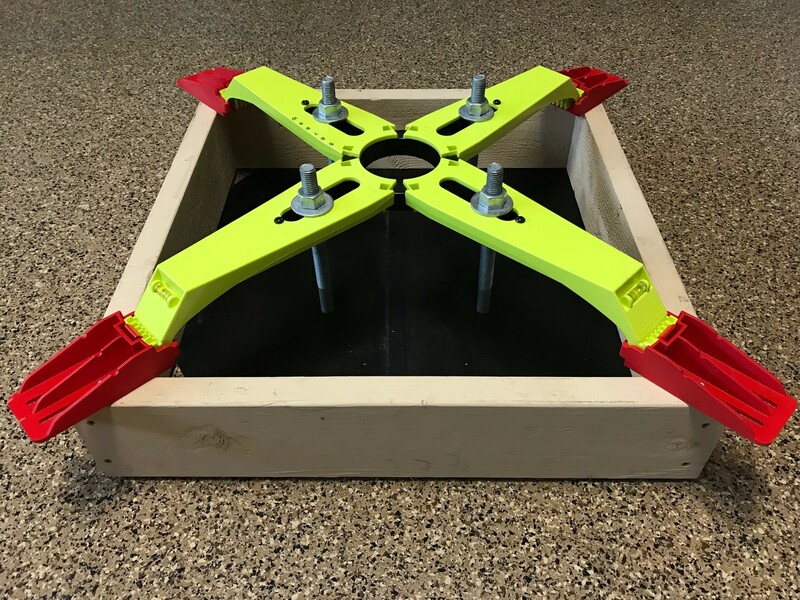 Because they no longer have to fabricate a wood “bolt template” for every base, contractors report labor savings of 50% or more compared to the conventional process.